No matter the teaching style or classroom environment, give students the best in collaboration technology. Whether you need a front of the room display or or one for the Learning Commons, the 7000-series is the future of learning and collaboration…today. Setting the SMART Board 7000-series apart from others is iQ – the SMART Board’s built-in iQ technology puts everything you need in one place, available at the touch of a finger. There’s no need for wires and cables. The embedded computer offers one-touch access to SMART Learning Suite applications like SMART Notebook® lessons, SMART lab™ activities and SMART amp™ workspaces. There’s also access to collaboration tools, like a digital whiteboard, built-in web browser and wireless screen sharing (iOS, Android and Microsoft devices). Four pens and Eraser – like the SMART Boards of old, the 7000-series includes four pens (red, black, green and blue) as well as an eraser. Simultaneous touch points – 16 simultaneous touch points and, available only on SMART Boards, Simultaneous Tool Differentiation: frees students to work together on a group project or complete separate tasks at the same time. Everyone is able to jump in using pens, erasers and fingertip. 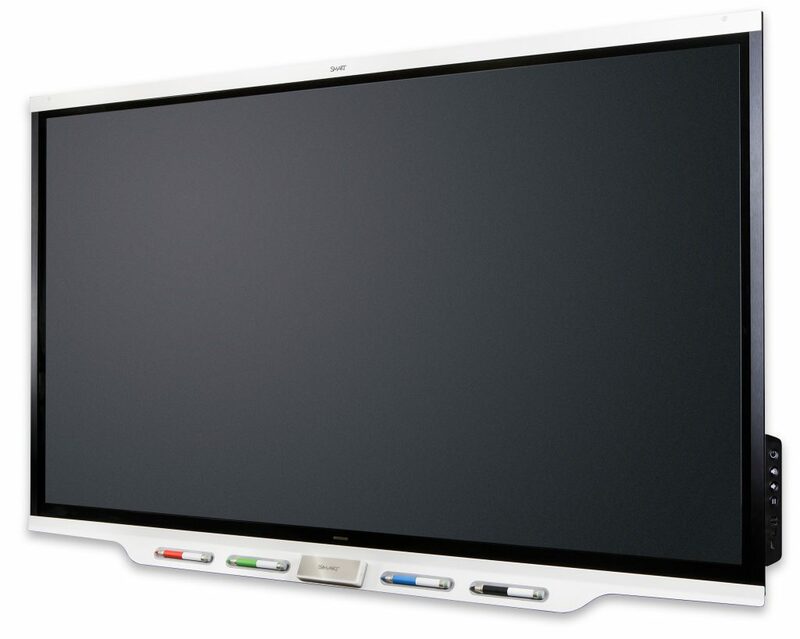 The SMART Board 7000 series interactive flat panels are available in 75″ version – 86″ coming soon.